Every person living with albinism has received their own fair share of discrimination at some point during their lifetime. Each one of them has their own unique story. 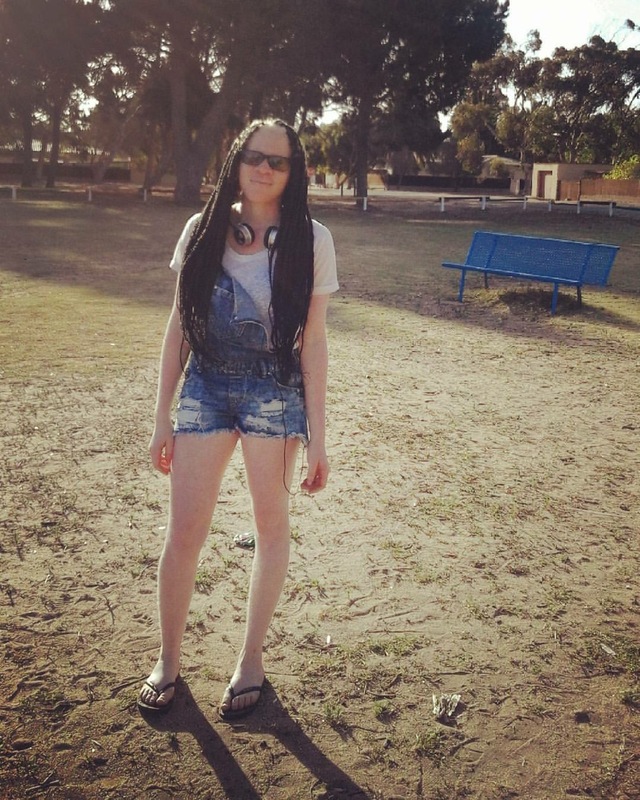 My name is Iyaloo Ndinelao Namundjembo, a student at the Namibia University of Science and Technology. I was born on the 4th of November in a loving and protective family of seven. 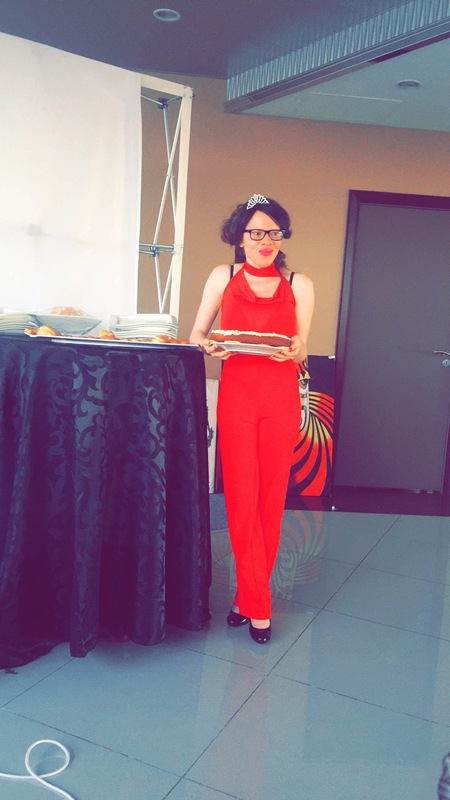 Among seven children, I am the only one with the albinism status. I had a wonderful experience with my family. They gave me all the love, care, and all the support that I could ever ask for. When I was little, I didn’t have questions as to why I looked different from the rest of my family as I’ve seen people on TV with an almost comparable complexion to mine so all worries were gone, up until the society met me. At this point, my life became a nightmare. I was called funny names, picked on and some kids literally ran away from me whenever I wanted to play with them. Moreover, people kept staring at me as though something was wrong with me. I just couldn’t understand why the society was so cruel and wouldn’t accept a little somebody like me. It was indeed ‘heart-breaking’ I must say. As I grew into a toddler, I got enrolled in primary school which reintroduced me to the society at large. My Primary education was smooth as I didn’t really struggle with low vision. Teachers were really helpful (they did everything possible to make me comfortable) apart from me being the stubborn one. 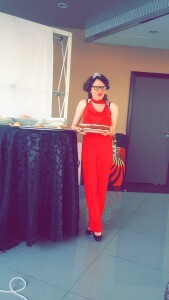 I took part in some school activities (dancing activities to be exact) and that helped me build my confidence as the reaction from parents and society was overwhelming and that made me feel accepted. If I could, I would actually turn back time to my primary school days because I enjoyed it. It was an amazing time. When my senior stage kicked in, I was shipped off to secondary education and had to be a junior this time around. My secondary education wasn’t as smooth as my primary one. There, it’s either you make yourself comfortable or just let it consume you completely. I started hating myself and my poor vision as it can be very upsetting when you struggle to see what’s written on the board even with the aid of specs it just wasn’t enough unfortunately. I cried about it(LOL). At some point, it broke me down cause people thought I was pretending and sometimes they made jokes about it but luckily the idea of quitting school or having to make other bad choices never crossed my mind and that was all thanks to my supportive, caring, encouraging and loving family. I am forever grateful to my wonderful family. Despite all the challenges and difficulties that I went through, I made it to varsity. A place where I got to meet like a million other people and understand my condition better. In the process, I made new friends with the same condition as mine. I have learnt that your family can accept you and give you all that you would ever ask for but sometimes all you need is someone that’s going through what you are going through to fully understand your situation and accept it. 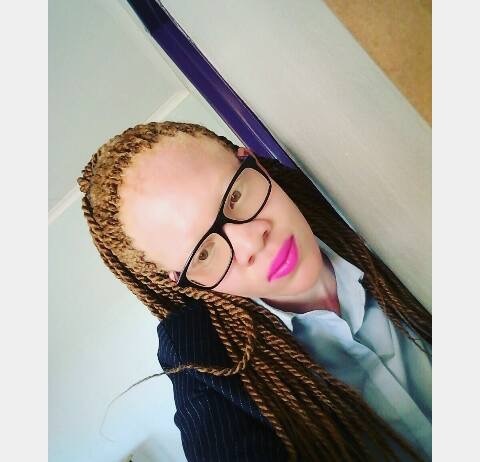 There was a point where one of my albino friends stood up for us to an individual (bully) and it was awesome, it felt good cause she knew what we go through and she has been there. My family has stood up for me too “so many times” but sometimes it kind of made me feel hopeless. My friend once told me to be my own kind of beautiful. This involves a process of accepting yourself. By doing this, you give the society permission to do same. 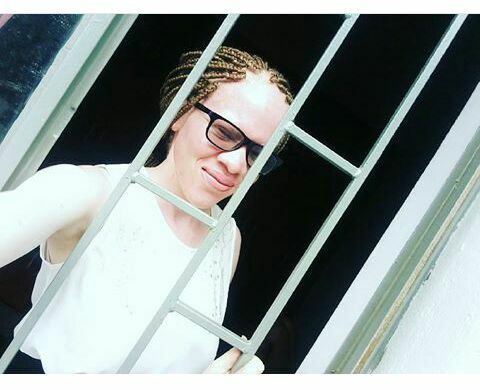 Today, I am a proud albino student waiting to graduate in April 2017 with a Degree in Economics and I still thank God for my encouraging family and friends that kept me going. 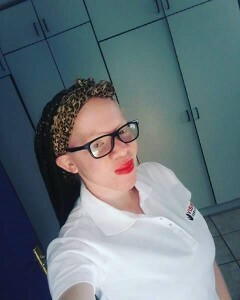 I couldn’t have made it this far without them and if a cure is to be found one day trust me, I am definitely not going for it cause I love being an albino and my wish is to have more albino friends. And I’m proud to be your sister. Very proud of you lil sis. # keep inspiring. This is Beautiful! We love and we’ll always support you cuz. We thank God for blessing us with you. You are indeed a strong woman one can say please continue to be y who you are.and all the best with everything. .
am proud of you cousin…don’t end here,continue being an inspiration to all….this is just the beginning of your wonderful journey..
We love you as always Iyaloo.. I remember you very well iyaloo…always happy in our lovely primary xul am proud of you , our golden maggy hostel lil sista. Little did you know how your courage to stand out in society (especially high in school) inspired people like me…I thank the Almighty that I’ve met and personally known you…keep inspiring the masses. I love you and may God bless you with abundance. wow, you guys are awesome. Thank you for the amazing respond and the genuine love. Highly appreciated.